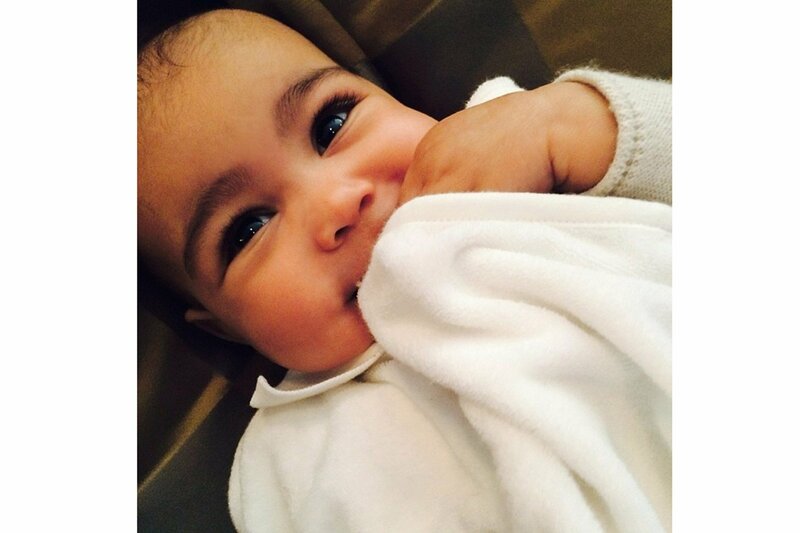 October 27th, Kim gives birth to North West five weeks before this post. Her first child, and surprise! 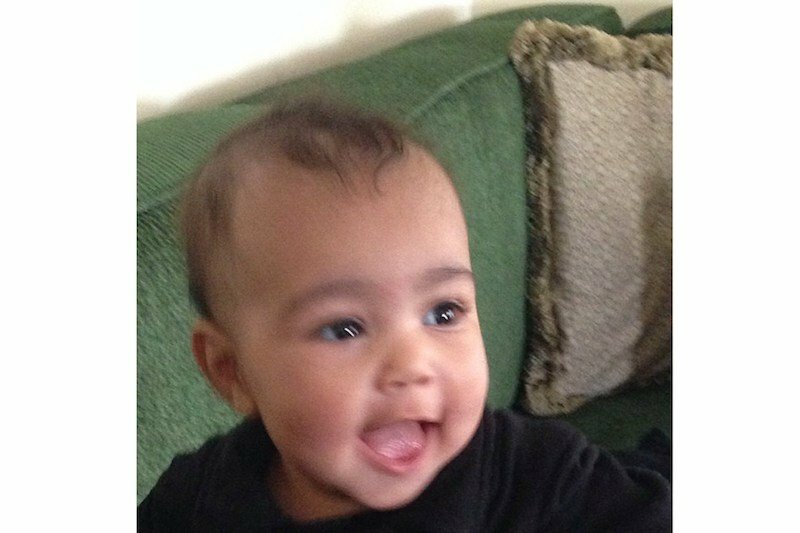 There are not too many photos of her baby. These are the very first photos of their child. Some of the few photos were posted on Instagram and on The Ellen DeGeneres Show. While she was pregnant, she gained 50 pounds, but after 7 months she looks as always again. We did not see too much about Kim after the birth. 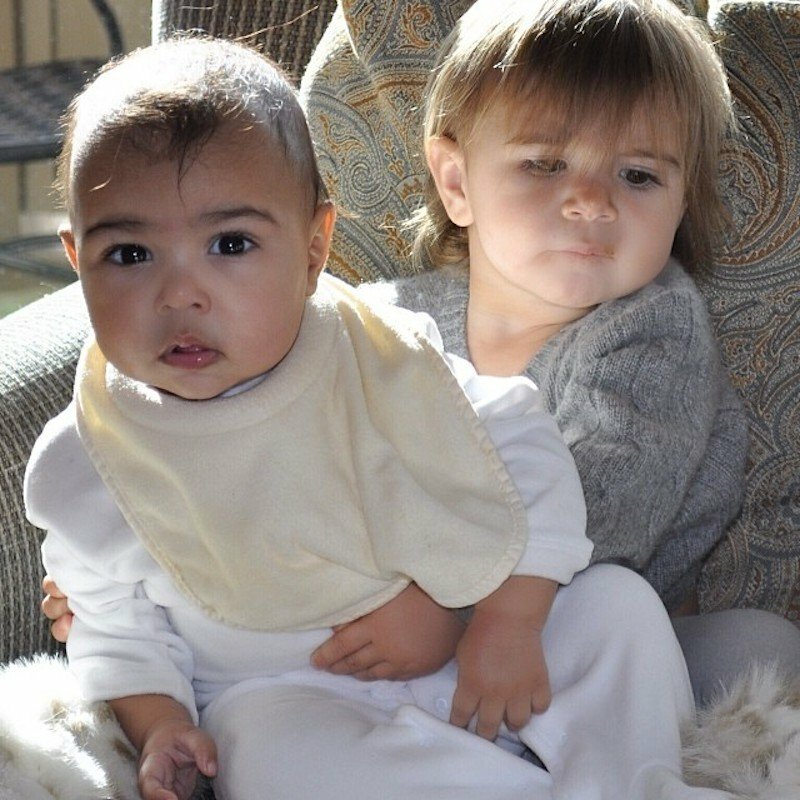 One of the cutest pictures from our point of view was with his cousin Penelope (also posted on Kim's Instragram). There are not many photos to share but we will certainly be posting more of them as we get more from North West.